and the creator of the codebase, BCNext, told the community to take over control of the idea, the code, and the ecosystem. Then, he left. Fiat is failing. Let ‘battle’ commence? - a collection of articles, which, after a short introduction to the concept of blockchain technology, looks deep into Nxt. From its rather tumultuous launch in late November 2013, the pros and cons of its distribution model and the anonymous inventor, BCNext, who handed over the source code to the community and gave them the responsibility to enhance the tech and ecosystem, this book takes the reader on a journey through ups and downs, features, use cases, business projects and bank/government adoption of the tech. In 228 pages the book tells the story of how a group of mostly anonymous people, investors, cryptographers, economists, and not least software developers, as well as businesses, set out to change the world. Nxt has been leading the way in the forefront of PoS blockchain technology for more than 3 years now, and its core team has been rapidly launching new built-in functionalities and stable core features, which anyone can use as they are, or use them to build new and even more advanced features available to users. Aspiring sociologist, blockchain enthusiast and expert developers will get an insight into how global decentralised communities (can) work 24/7, as well as discover the incredible potential of the well tested Nxt templated smart transactions known as "smart contracts", core features, and many existing use cases of the Nxt platform. 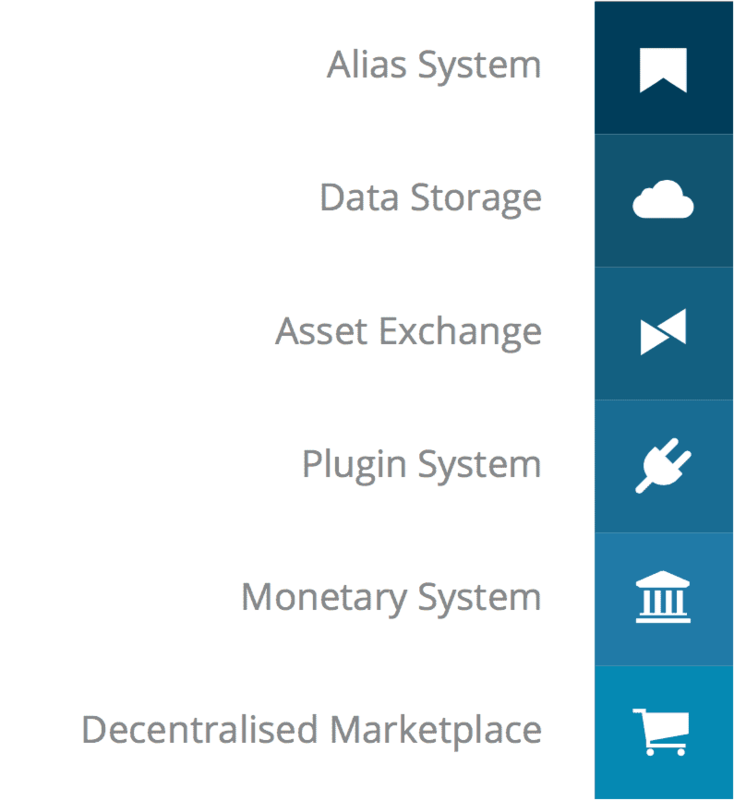 Nxt offers disruptive features such as a decentralized global p2p Marketplace, an Asset Exchange, encrypted and public messaging system, secure data cloud, a p2p “shuffling” system (for privacy), as well as a Voting mechanism and a Monetary System with which you can launch your own cryptocurrency, just to mention a few. All these are available through The Nxt Client and and an extensive API, which makes it possible to couple and build with these features like Lego bricks. Still, despite all these ground breaking features, the biggest technical invention of Nxt is its unique protocol, which is based on the concept of “Transparent Forging”. In an answer to some critical claims published in an ESMA-report, unique insight is given into why the Nxt PoS system could be the future of energy efficient blockchain security, in contrast to the outdated PoW protocol of Bitcoin, which is, by design, environmentally disastrous and also enforces centralisation. The book ends with the announcement of a new release, Nxt 2.0 - now known as the Ardor Platform - in Q3, 2017. Ardor will offer the same transaction types as Nxt and has an almost 100% identical API, but child chains, essentially Nxt ledgers, can be spawned from it by individuals and businesses. All Ardor child chains will have their own independent token (currency code) but will be secured from birth by the Ardor main PoS network,. Child chains are connected to eachother within an atomic crosschain transaction framework. 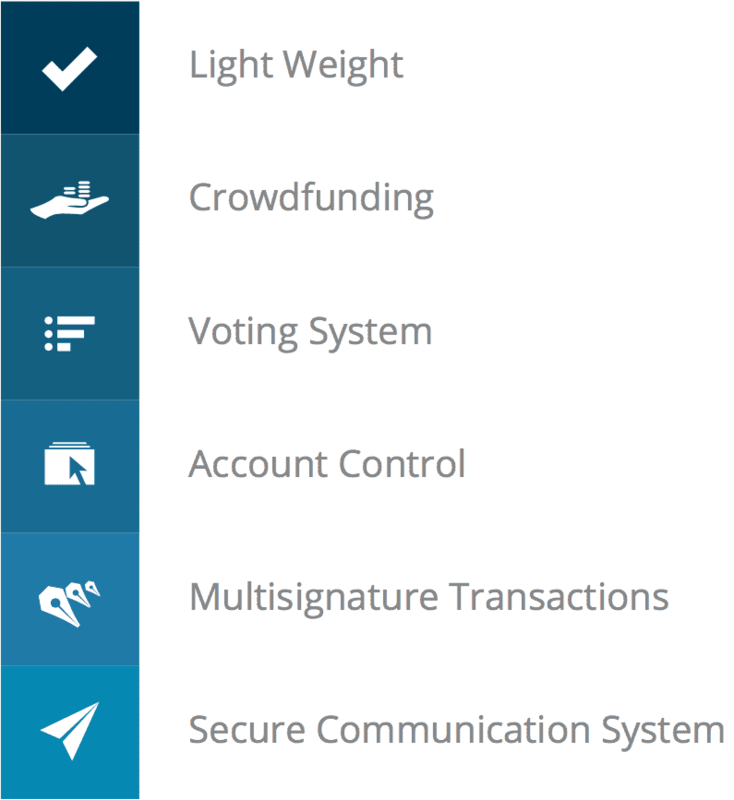 The design is globally scalable and even more smart transaction types and useful features will soon be added. If you have the slightest interest in the safe handling of data, decentralized applications free from censorship and hacking, secure storage, time stamping and the transaction of money, stocks, personal records, files,votes, you name it, then we recommend you to read this book. Listen to the first chapter "The Genesis: The Miss America of alternate cryptocurrencies"
Get involved. Just think about taking matters into your own hands for a second. Your money, your assets, your kids' future. Everything gets digitalised. Own your data. There will be millions of blockchains. Nxt is a Blockchain 2.0 platform, and getting around the first couple of days can be tricky. You should start learning about it right away. Who wants 1000% ROI? Early adaptors got it, read how they invest in ICO's on the Nxt Asset Exchange. Get insight into a possibly rewarding but also risky crypto trading environment. What's your plan? Even if you don't desire getting a job in the industry, you will learn about efficient means of fundraising, decentralized leadership - and the starfish! Ardor lets you spawn your own ledger with the technology of Nxt. Nxt is already in use as the backbone of private and public blockchain businesses. Build a powerful and long-lasting rocket ship using ingredients from the Nxt codebase. The Ardor Platform is built with Nxt. This book prepares you for the future. Choose the relevant country inside the shopping page. Pay with €, £, $. “Nxt is the most amazing decentralised tool that knows no borders, no central authorities, no risks of fraud. With its API and hundreds of endpoint calls, Nxt is an easy tool to integrate with other software solutions, thus being the perfect solution for each business need”. We tested multiple platforms before deciding Nxt (and future Ardor) was perfect for our needs. The primary goal was functional ease of use for token holders, I'll be blunt when we first opened and explored the Nxt client our minds were blown away at the plethora of features. Long train ride ahead. 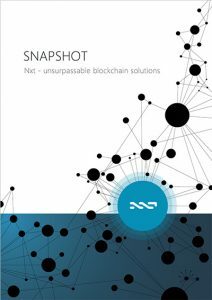 Finally time to read the book about the amazing #blockchain #Nxt: Snapshot. Already read it? Please leave a review on Amazon, iBooks or Google Books. Thanks. Buy the e-book now ! Need to buy larger quantities? Contact the publisher, Valeur d'historie.